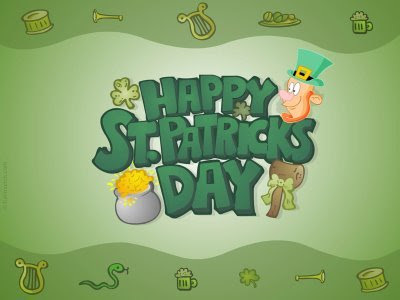 Workplace Safety Blog | Safetycare | Safety Training Videos | Free Safety Pictures and Resources: Happy St Patrick's Day! What is the meaning of the color green? Happy St Patrick's Day! What is the meaning of the color green? Originally, the colour associated with Saint Patrick was blue. Over the years the colour green and its association with Saint Patrick's day grew. Green ribbons and shamrocks were worn in celebration of St Patrick's Day as early as the 17th century. He is said to have used the shamrock, a three-leaved plant, to explain the Holy Trinity to the pagan Irish, and the wearing and display of shamrocks and shamrock-inspired designs have become a ubiquitous feature of the day. In the 1798 rebellion, in hopes of making a political statement, Irish soldiers wore full green uniforms on 17 March in hopes of catching public attention.